Cardi B is living good right now. Her debut album, 'Invasion of Privacy,' debuted at the #1 spot on Billboard last month, she's pregnant with her first child, and she's even hanging out with Sasha Obama. But a lawsuit filed against the New York native last week is looking to dampen Cardi's mood. Last week, Cardi B's former manager Klenord "Shaft" Raphael, filed a $10 million lawsuit for breach of contract and defamation against the "Bodak Yellow" rapper. In the lawsuit, Raphael claims that he "conceived, arranged and orchestrated Cardi B's rise to become the biggest music sensation on the planet." In addition, he claims that the 25-year-old's "rapid rise as a recording artist and performer is attributable to Shaft." In the lawsuit, Shaft says that he arranged for Cardi B to appear on VH1's 'Love & Hip Hop," in addition to providing the Bronx native with a "stable of producers and writers that he managed to create music for her." Shaft claims in the suit that the two parties split after one of Cardi's stylist's made Cardi believe that he was stealing money from her. After Cardi decided to end her business relationship with Shaft, she switched over to Quality Control Management, who also manages Migos. Shaft is also suing Quality Control Mangement for $10 million. 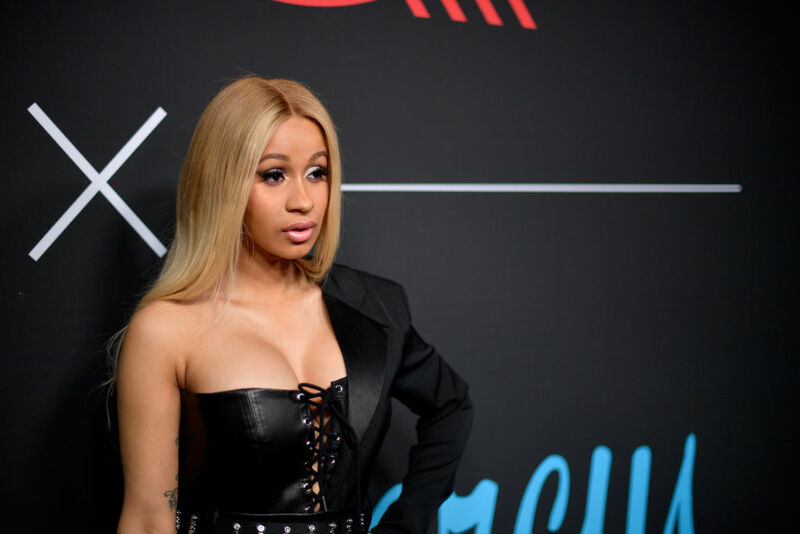 In response to the lawsuit, Cardi B's lawyer, Paul LiCalsi, said,"After a full investigation of the facts, we will be responding to these allegations in detail in court. But even on its face, Shaft's claim raises a huge question. For a hefty commission, a manager promises to carefully counsel and guide an artist in her or his career. In exchange, the law imposes a high fiduciary duty on the manager to always act in the artist's best interest, not engage in conflicts of interest, not overreach, and not self-deal." LiCasi went on to suggest that Shaft signed on as Cardi's manager for a 20 percent commission, then went on to sign her up through a different company in a "deal that takes 50 percent of her music royalties from Atlantic Records, 50 percent of her music copyrights, and 25 percent of her other earnings." "How does that comport with his fiduciary duty as her manager?" Licasi asked. Cardi took to Twitter to show her followers a screenshot from her bank account, and the sufficient cash withdrawal necessary to buy the car, free and clear.